How can I keep my Muscles strong with suitable diet. Today. 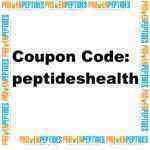 diet, weight loss & body building are the challenging & discussing chapters in the atmosphere. In every home , on every channel, In every advertise, In every news there is discussion on only losing weight building body & diet. Why did today we have to work on these topics we will discuss here . having strong muscle means building a good body but keeping strong muscles is not a simple work .We have to maintain it. WE MUST HAVE TO AVOID FOLLOWING FOOD TO OVERCOME SIDE EFFECT OF DIET FOR MUSCLES. 1] More calorie value or starchy food . : If you want to keep your muscles flexible then you must have to avoid following food .That is we must have to eat it in the balanced proportion. 1] These food means Potatoes, Sweets potatoes, Brinjal, sometimes peanuts, as these foods creates more fats & cholesterol it creates a layer under the muscle so it reduces the flexibility of muscles. 2] We know that if we have to keep our muscles flexible & strong then we must have to work on our inner capacity. To increase inner power we must have to do physical work or exercise everyday. 3] So many times if we have pain in our knees or having a clotting in our muscle then Dr. giving us advice that do not eat above food. 4] To keep our muscles strong we must have to drink milk, along with it eat sprouted food, eat easily digestive food, that is fibrous food, oils, generally sea same oil works better for the muscles. 5] Leafy vegetables also providing good supplements to our muscles that is effective minerals like calcium, iron, magnesium, potassium , sodium etc & they are working as a good digestive food to enter directly into the blood. 6 ] I think that Muscle building means not only increasing weight but we must have to bring power & flexibility in our muscles . 7] We know that so many times we see that the person who is looking healthy but he can’t work more physically as well as mentally but the person who is looking thin & weak works better in comparison to the looking strong person.8] These types of person have more flexibility in their muscles . We always looking to the youths who are playing ”MALLKHAMB” are looking very thin & weak but still how they are flexing their body we know more times. Another reason of them to keep their muscle flexible is exercise also. 9] I think some dancers, actors , athletics are always keeping their diet light so that they are looking beautiful , handsome & cute also. With diet keeping their mind also light. 10] We know that ”As the food as the mind, As the mind as the body” in this way if we will keep care of mind along with the good diet it also makes good changes in our body. 10] Every person works or lives to be happy in the world so happiness didn’t come only by working on the body so we must have to keep care of our mind to be happy along with the good diet. 11] Every thing we are doing with planning then why there is no planning for our mind? If our mind remain happy it will produce good hormones in our body & hormones are the good solution for every problems. Means there is not need of keeping more attention to our diet or body. body , no any coaching, no any diet plans no any planned exercise, no YOGA . Still they didn’t have any more body problems regarding diet or hormones .They were always happy.What’s the reason behind it? As they were keeping their mind fresh ? Without keeping pressure on it & living there life tension free without any material things . Today we have collected A lot of material things for the body along with so many tensions, pressure, stress etc & starting only working on body. 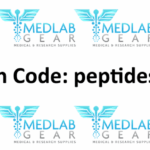 5 Best products for weight training you can find by proven peptides code (go to the website) and by MedlabGear Coupon.